Since 1984, SLP has provided customized record retrieval to the legal and insurance industries. Each request is thoroughly researched before produced, eliminating costly orders that do not exist and ensure timely turnaround of your records. Most records are processed and delivered to your office in 21 days or less! The marriage of the records experience, nurse experience, technology, and a knowledgeable staff experienced in dealing with large litigations has placed SLP in a superior position to handle any litigation, regardless of size or complexity. We employ state-of-the-art technology and are supported by a dedicated and knowledgeable staff that is experienced in the legal field with “service” being our primary goal. We also do not charge rush fees or cancellation fees as many firms do. SLP prepares the subpoena, notice, deposition questions and /or affidavit on each request, saving you time and money. SLP can retrieve records locally and nationally and have an extensive provider database to facilitate the research and procurement process. All orders can be tracked on-line 24/7 via a secure web portal. In addition, orders can be placed, viewed, and downloaded on-line or by fax or email. We pride ourselves in quality service, quick turnaround times, and accuracy of records. Each client is assigned a Records Specialist as a primary contact who is readily available to facilitate your orders and answer any questions you may have. In addition, we take a proactive approach to customer service by keeping you informed of any concerns we may encounter or notice and by providing an automated push-pull on-line status reporting system available 24/7. 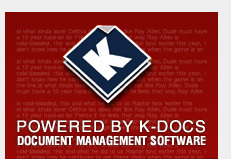 To complete the service, you have access to K-Docs, our sophisticated web-based records management system at no cost to you. 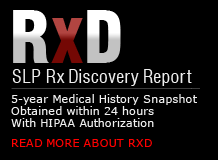 A comprehensive five-year medical prescription snapshot designed to accelerate the discovery process by identifying conditions and diagnoses that the drug history may represent: includes drugs, pharmacy data, prescribing physicians, etc. Our professional staff has worked on many of the largest mass tort litigations in the country, consulting and advising national, local and general counsel representing some of the largest manufacturing and pharmaceutical companies in the world. Our experiences allows us the opportunity to provide our clients the assistance they need in developing a litigation strategy that has proven to save hundreds of thousands of dollars in litigation costs.